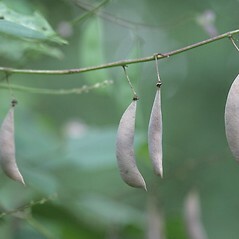 Wild bean is native to southern and eastern North America, reaching the northern limit of its distribution as it enters southern New England. 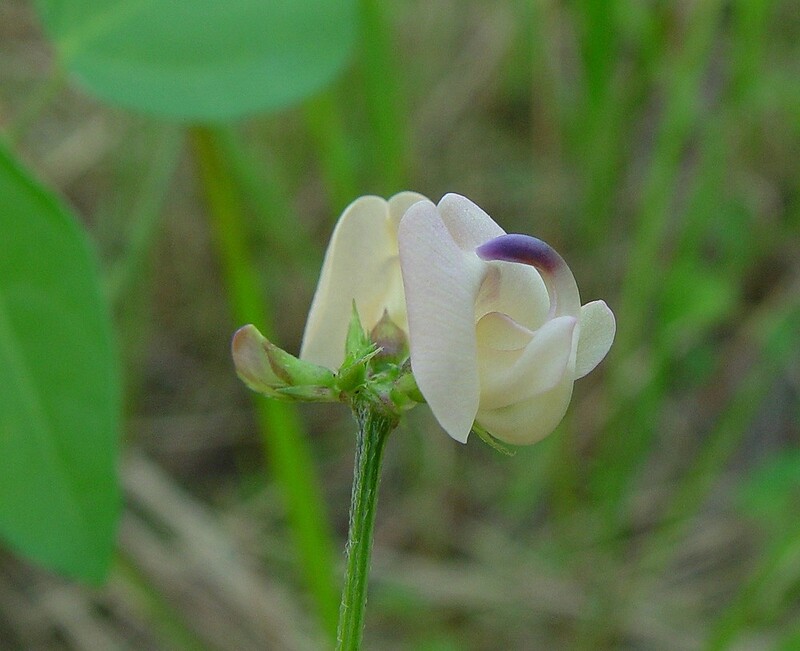 This is the only member of the bean genus (Phaseolus) native to North America. 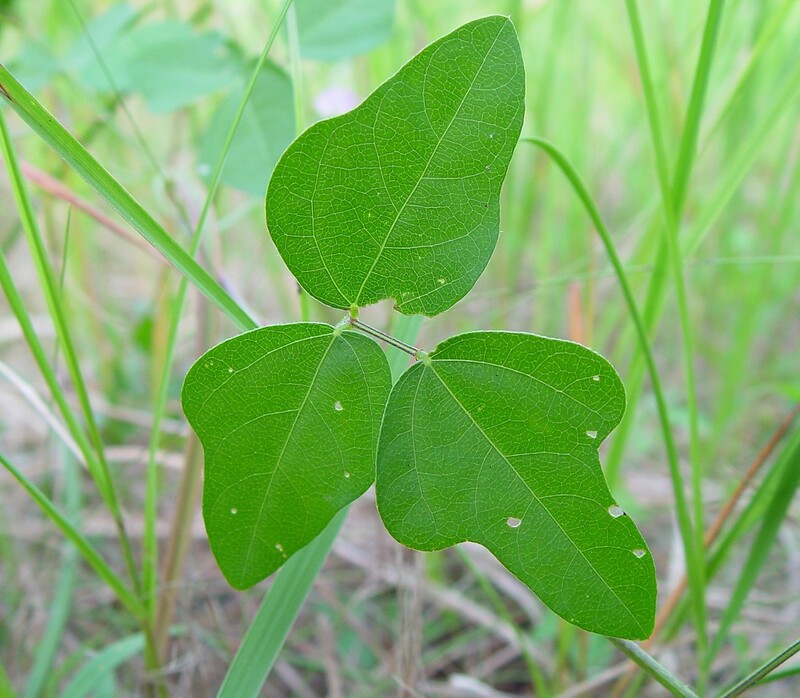 The seeds are edible, and remains have been recovered from prehistoric archaeological sites. 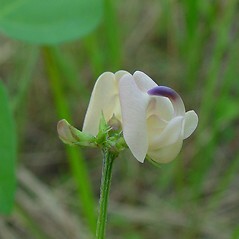 inflorescence with a stout, relatively straight axis, legumes longer than 8 cm, and plants annual (vs. P. polystachios, with the inflorescence with a slender, flexuous axis, legumes 3–6 cm long, and plants perennial). 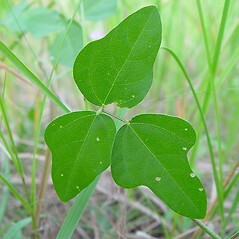 Phaseolus polystachios (L.) B.S.P. var. 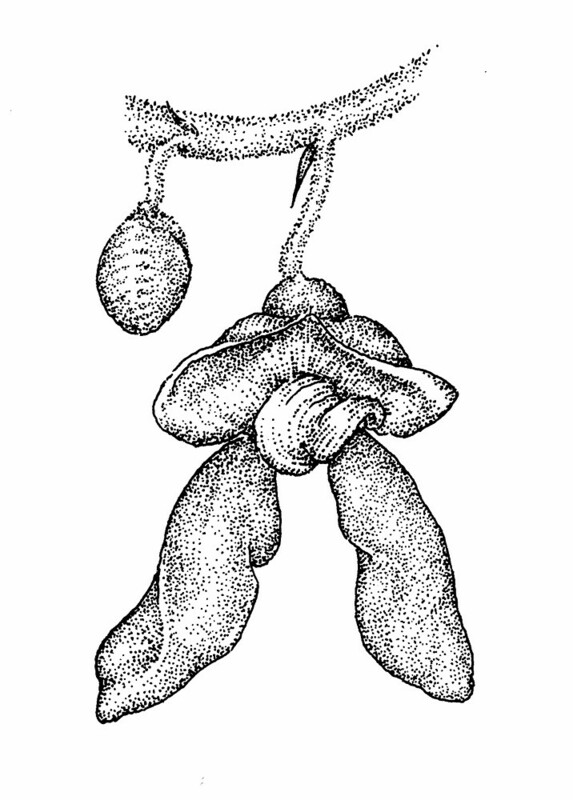 aquilonius Fern. 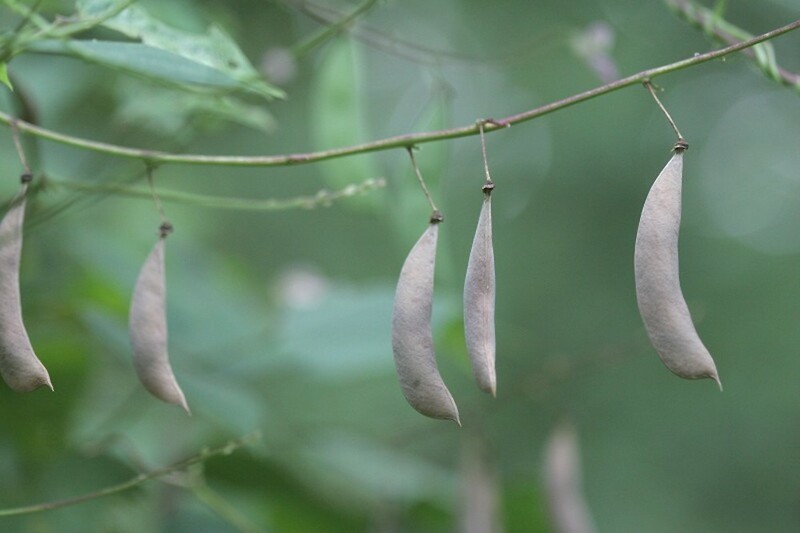 wild bean. 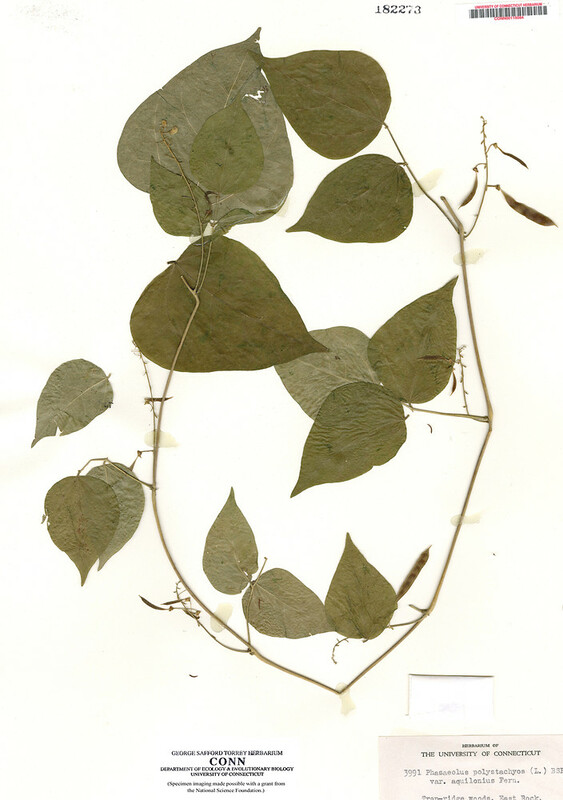 Dolichos polystachyus L.; Phaseolus polystachios (L.) B.S.P. var. aquilonius Fern. 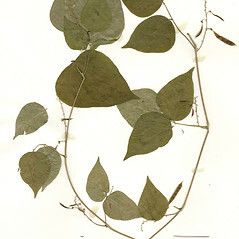 ; P. smilacifolius Pollard • CT. Also reported from ME by Gleason (1963) and RI by George (1992), but specimens are unknown. Rocky forests and woodlands, cliff bases. 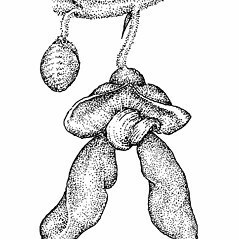 The report for ME by Gleason (1963) is almost certainly in error given that this species is not known north of CT based on specimens that have been examined.